Copyright © 2013-2018 by Samantha Lovella. All Rights Reserved. Can she trust him? 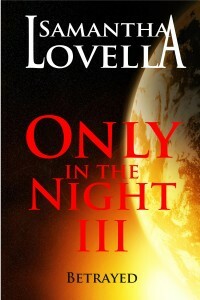 Emma wakes up to find herself abducted by Ethan, a mysterious, handsome stranger. Unwillingly pulled into a sinister corporate scheme, she must work with Ethan to unveil a deadly hidden secret. The game changes when she finds out that he not only possesses superhuman powers, but also controls her heart. Love seems normal until she learns the real reason behind his attraction. Emma finds out Julie, Ethan’s lost love, still lives. She forces him to go back to Julie out of pride. Ethan returns to his world, only to find that things have changed. Emma dates someone else on the rebound. 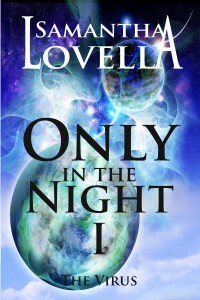 But when a traveler from another world befriends Emma, her heart deceives her. She finds herself pulled to Ethan again in an intense battle for love. Blamed for her friend’s assault, Emma struggles to do the right thing. Three people whom she trusted with her life betray her. Two people whom she loved dearly come between her and Ethan, and one person whom she once thought innocent becomes her enemy. Everyone in life is against her, including Ethan. They might be together, but not without a price … worth billions. 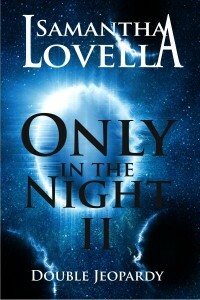 Only in the Night IV… coming soon!